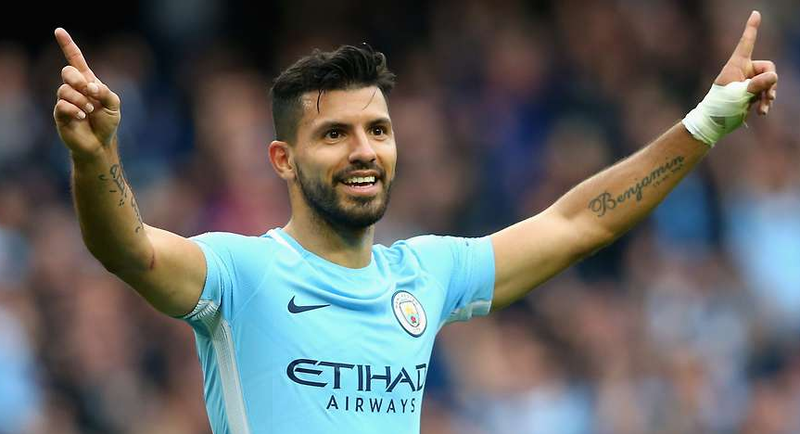 One of the popular professional football player is named as Sergio Leonel Aguero who plays for Machester City and Argentina National Team. He is a well-known celebrity. He is famous for contribution to professional life. He is best at the Striker position. Currently, he is playing for Manchester City. He had played for Independiente, Atletico Madrid and many more clubs. He is right foot player. His Shirt number is 10. Lionel Messi is one of his best teammates. He had represented himself in Russia for the World Cup 2018 as a part of the Argentina national team by showing his talent to all. He is very talented and skilled player. Passionate and enthusiastic player, Aguero was born on 2nd June 1988. He was born and raised in Buenos Aires, the city of Argentina. He is the son of Leonel del Castillo and Adriana Aguero, his father and mother. His nationality is Argentine. His astrological sign is Gemini. His religion is Christian. At the small age, he began his career with football. Aguero has got a great personality. Talking about his body, his height is 1.72 m. His weight is of 70 Kg. He has a balanced body with good health. He has an attractive body figure. His smiling face and charming personality have helped him to gain the attention of all the viewers. His eye color is Dark Brown and the hair color is Black. Aguero started his career in football by joining the club, Independiente when he was just 9. For this club, he made his debut against Atletico San Lorenzo de Almagro on 5th July 2003. He was also featured in a Copa Libertadores against Ecuador's EI Nacional. He made 36 appearances and scored 18 goal kicks in the season of 2005-2006. In the year 2006, he joined Spanish Club, Atletico Madrid with a fee of €20 million and made his debut against Recreativo de Huelva on 14th October 2006. In the season of 2007–2008 he finished third highest scorer in La Liga with 19 goals. In the year 2008, he also won the man of the match display after playing against Barcelona. In the season of 2008-2009, he became a regular goalscorer for this team. In the season of 2009-2010, he played very well and also scored twice against Chelsea on 3rd November 2009. On 27th August 2010, Atletico Madrid captured the UEFA Super Cup by defeating Internazionale with winning score of 2-0. In the season of 2010-2011, he made 20 league goals. On 23rd May, he announced his movement from this club and became a member of Manchester City with a fee of £38 million on 28th July 2011 for a 5-year contract. On 15th August, he made his team debut against Swansea City. He was also the member of the team to win the Premier League Trophy in the year 2012. He started his 2012-2013 season against Chelsea with the winning score of 3-2 and ended the season against Reading with winning score of 2-0 on 14th May. In the opening game of 2013-2014 premier league, he scored against Newcastle United. He was awarded the Premier League Player of the Month. Later, he was suffered from the hamstring problem and missed his next 5 matches. On 14th August 2014, he signed 5-year extension contract with Manchester City till 2019. He made his first goal of his 2014-2015 season in the opening match of Premier League Season against Newcastle. On 2nd December, he was named the Football Supporters Federation Player of the Year for 2014. He was also awarded Premier League Player of the Month. On 7th August 2015, he announced switching his number 16 shirt to the number 10 shirt. In his 2015-2016 season, he played against Chelsea with the winning score of 3-0. In the 2018 World cup qualifying match against Equador on 8th October, he again suffered for the Hamstring injury. He ended his 2015-2016 season with altogether 24 goals. He started his 2016-2017 seasons by scoring a goal against Sunderland with the winning score of 2-1. In City's first game of the 2018-2019 season, he scored both goals in the 2-0 2018 FA Community Shield victory over Chelsea, the first goal being his 200th for the club. Currently, he is playing brilliantly for this club, Manchester City. He had represented himself in his national country, Argentina in both senior as well as junior levels in many tournaments. He had played Argentina U17, U16, U20, 2008 Beijing Olympics, 2010 Fifa World Cup, 2011 Copa America, 2014 Fifa World Cup, 2015 Copa America and many more tournaments. He was also part of the team that won the 2005 edition in the Netherlands. He made his 2010 Fifa World Cup debut in Argentina's second group match against South Korea on 12th June 2010. He also won the Golden Boot scoring six goals in seven games, and the Golden Ball as the best player of the tournament. His name was also enlisted in the squad of Argentina national team in this World cup 2018 Russia. On 16th June, he played against Iceland and made a goal with draw score of 1-1 which was his first World Cup 2018 goal and made his next goal against France with losing score of 4-3 and this team was eliminated from the World Cup. He had played in the World cup 2018. He is the active player in this World cup. He had played altogether matches. Aguero is a married man. He married Giannina Maradona, Youngest daughter of Maradona (Star Footballer). The couple married in the year of 2008. They welcomed their son in 19th February, 2009. Later, they were separated in 2012. Presently, he is dating Karina Tejeda, Pop Star in the South American Country. They seem to be very happy with each other. The couple makes public appearances together often. There is no any sign of Separation between them. They are living peacefully. This excellent player makes good money from his work. 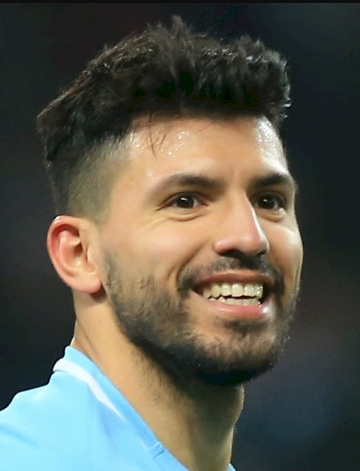 The net worth of Aguero is estimated to have $50 million in 2018. His salary is kept in privacy but there is no doubt in the mind of his supporters and followers he is satisfied with his earning.